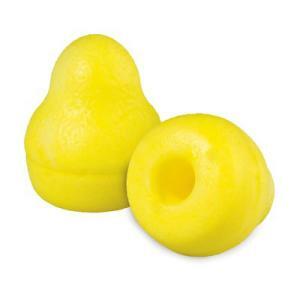 3M E-A-R Push-Ins with patented grip rings corded push-to-fit foam earplugs make getting a good fit easier than ever. Unique foam formula allows earplug insertion without rolling to keep fingers, plugs and ears clean. Slow recovery foam inserts easily, then seats and stays in place for comfortable hearing protection. These earplugs are easy to use and comfortable.